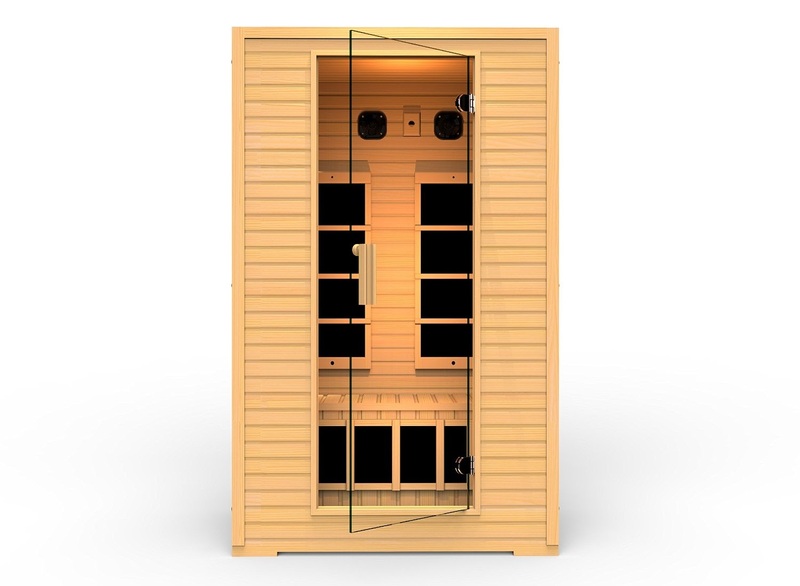 Take advantage of a sauna’s natural relaxing and detoxifying health benefits in the comfort of your own home with the JNH Lifestyles SG2HB Vivo 2015 2-Person Far Infrared Sauna. 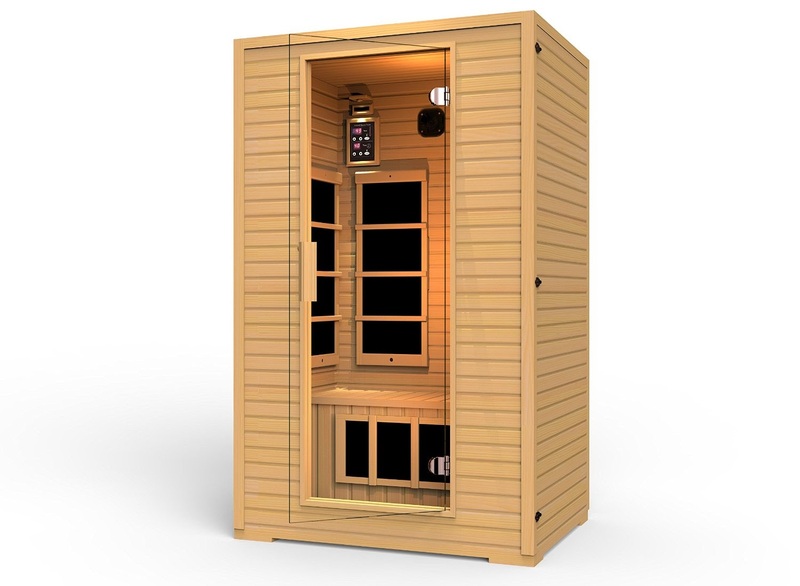 The JNH Lifestyles SG2HB Vivo Sauna is built with 100% top quality FSC-certified Canadian Hemlock Wood and features Tongue-and-Groove construction for strength and durability. The dual-wall construction of the sauna ensures better heat insulation and means you don’t have to worry about heat expansion when fitting the sauna into a tight space. With its “Tools-free-design”, the JNH Vivo sauna is easy to assemble anywhere in your home – you simply buckle the panels together! This unique design means it’s easy to disassemble and move to another location if required. 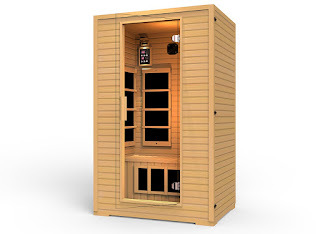 There’s no wiring required, as this sauna plugs directly into a standard household 110-120V/15 amps socket. 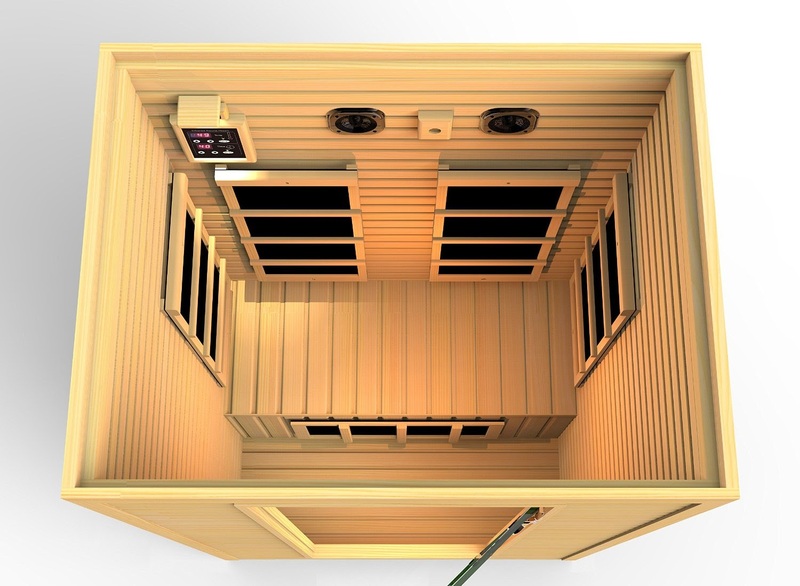 The JNH Lifestyles SG2HB Vivo Sauna is equipped with 5 carbon fiber far infrared heaters, located at the back, side and calf areas to maximize the heating area. The sauna heat up to a maximum of 140F and you can easily control the temperature and duration of time spent in the sauna with the Vivo’s easy to use digital control panel. The JNH Lifestyles SG2HB Vivo Sauna is equipped with interior LED lighting and a see-through safety glass door which helps to give the sauna a light and spacious feel. The special safety glass is designed to withstand high temperatures and helps to improve heat insulation. The LED lights are long-lasting and are 50% more cost-efficient than standard bulbs. You can relax and listen to your favorite music with the Vivo’s dynamic sound system which works with all portable audio devices and includes 2 dynamic speakers, a volume rocker, and a 3.5 mm auxiliary plug. 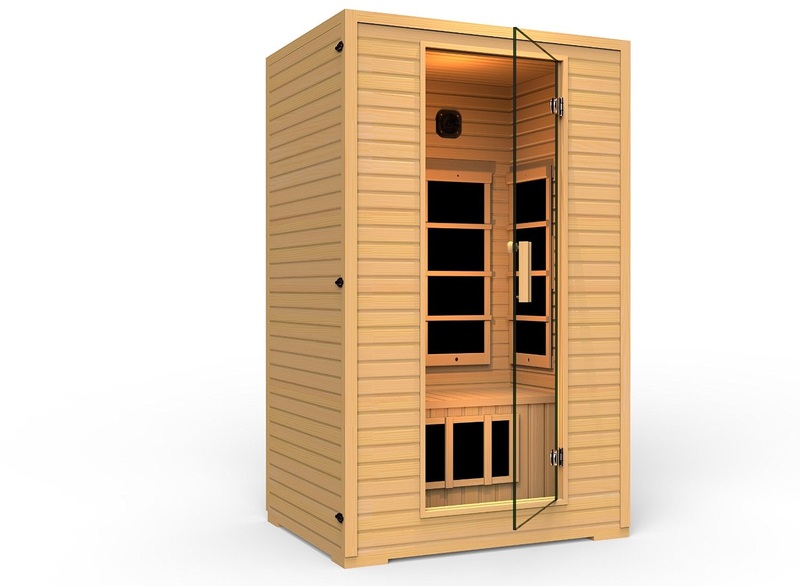 For peace of mind, the JHN Lifestyles SG2HB Vivo Sauna utilizes UL-listed components and is ETL approved and comes with a 2-year warranty.